Dreaming Glory is one of those herbs whose price has dropped so much due to a lack of demand and an excess of supply it’s just not worth farming. 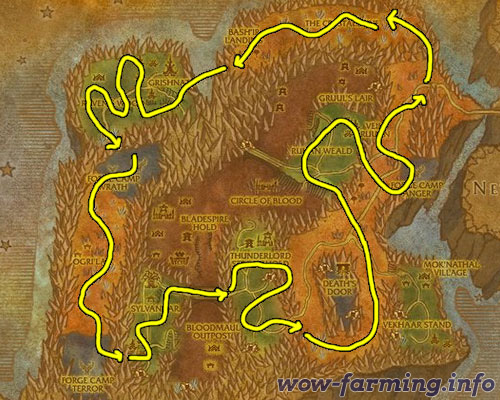 Don’t farm Dreaming Gory, unless something is off on your realm and prices command that you head to Outlands to pickup some Dreaming Glory for yourself. Dreaming Glory is used mostly by players leveling alchemy. They will need exactly 35 of this so it’s smart to sell them in stacks of 20 if there are no stacks of 5 posted. It will also sell to players making level 60-70 quality glyphs, since Dreaming Glory is one of the most affordable herbs in Outlands. Dreaming Glory is found all over Outlands, in just about every zone. You’ll have optimal results with the zones listed below. Update: You can make a lot of gold with Dreaming Glory, but if you want to step it up and make thousands of gold you should read my personal favorite guide. 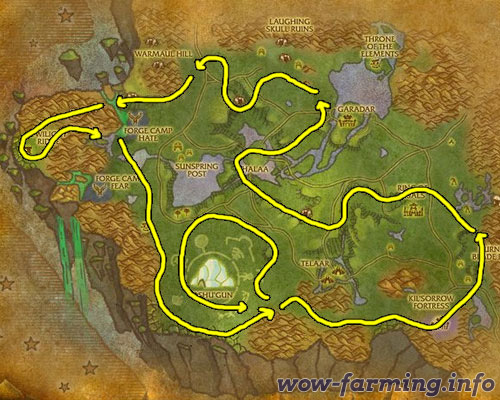 The next best place to farm Dreaming Glory is in Terokkar Forest, you’ll see it’s all over the place here too. 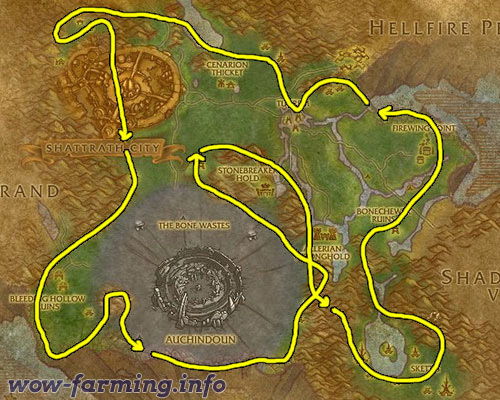 Follow the outer area and this farming route carefully to find the most herbs possible. The last place to check for Dreaming Glory is Blade’s Edge Mountains. Dreaming Glory is not found in the valley spanning north south in the center of the zone. It’s found in every other valley though, including the brown colored, dark colored and green colored ones. Basically just fly from one valley to the next searching the edges.